Welcome to our little reading room, Heikki Hietala! Tell us about yourself, where you’re from/grew up/live now, what you do for fun, if you work at “day job” what do you do that may impact your writing, favorite pet/color/movie /book/actress/actor—you know, all that stuff that makes Heikki interesting! I was born in Helsinki, Finland, but since I moved to Jyväskylä in Central Finland by the age of six, I consider myself a centralist. Life then took me to Dublin, Ireland for a year’s stint at Microsoft, where I translated Excel into Finnish (as one of a team of course–it’s a huge project), then back to Finland to work as a project manager in IT localization and new media, then as a webmaster, and on to running a mobile phone language testing lab. For the past 10 years I have been a Senior Lecturer in IT at the HAAGA-HELIA University of Applied Sciences. I love teaching. I’m a voracious reader; much of it is non-fiction, because I marvel at how clever people can be, and how well some authors can write text that takes complex issues and delivers a great reading experience. Historical fiction is a staple too, as is sci-fi. But my great love is British humor. I am a Monty Python fan since 1975, when I was issued a C-cassette with “The Album Of The Soundtrack Of The Trailer Of The Film Of Monty Python And The Holy Grail”. I listened to it and was hooked for life. I can still recite large portions of the movie by heart, and I have the script in book form. Still, the best Monty Python sketch is “Eric the Half Bee”. Look it up on Youtube if you don’t believe me. Hey, another computer geek! I worked for the Big Blue computer company and used to live in Seattle—home of Microsoft. When and why did you begin writing? I’ve always liked writing, even in school. Still, I did not consider it even to be a hobby of mine, like I’d say reading is. But it just happened that I got this idea of a chance encounter one fine morning at the office, and over a longish coffee break, wrote it down. I called the file Chapter One, just because it had to have a name. This was in 1996, and over the course of twelve years, I researched and wrote a historical fiction novel, “Tulagi Hotel”. 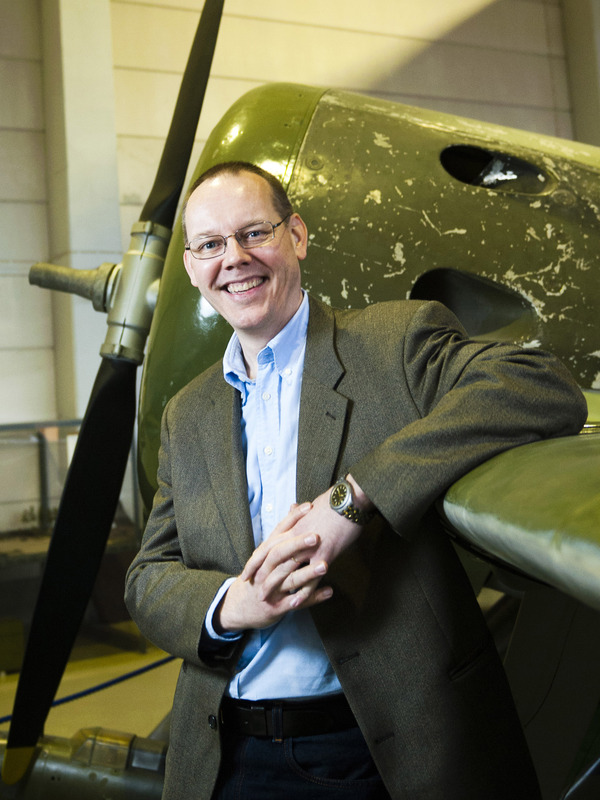 It was always on the back burner–I was busy with family life with two lively sons and a job that made me travel very much, but it was nice to write of aerial combat while sitting comfortably in a 747 at 36,000 feet. Finishing it in 2008 was something I never thought of when starting out. I write historical fiction, speculative fiction (also called weird fiction), and sci-fi. I aim to become a versatile writer who is able to write well in a variety of genres. My process can be called haphazard. I get ideas and then I sift through them to see what genre would be good for an idea, also whether it is a short story or should it be expanded into a novel. This process has worked fairly well, since I have had Tulagi published and also a short story collection called “Filtered Light and Other Stories” (soon out again from Fingerpress in the UK). I have two books in the works as well as some 20 short stories either finished or nearing completion. For “Tulagi” I used Excel to stay on top of the numerous locations, events, and people that feature in the book, but the setting was World War II and a lot was going on. Usually I just write, and during editing I weed out stuff that doesn’t fit. There are many people I look up to: Nevil Shute Norway, Robert Heinlein, Roald Dahl, and a bunch of Finns no one outside of Finland has heard of because they remain untranslated. In any case I admire writers who can deliver a solid story and bring the reader into the world he or she builds. That would have to be a short story called “The Summerhouse”. My father passed away in 2008 and a few months after that I wrote the 2,800 word shortie, which has since appeared in many anthologies, magazines, and my collection. That story is very personal and it enabled me to distance myself from grieving, so it was a healing experience; it also unlocked a hidden well of short stories I had in me, and in the span of six months, I wrote a dozen more stories. Our writing can be very healing. Where does your character inspiration come from? I almost always go for the little guy. The world is a complex system and all of us are set in it with our individual strengths and weaknesses, and we all try to make the most of it. This is the heart of “Tulagi Hotel” too, where a country boy is given a fighter aircraft and then sent to duel with the Japanese across the Pacific. The same theme appears in my short stories too. There’s a book called “Sinuhe the Egyptian” by a Finn, Mika Waltari. Whenever I become bogged down in telling, not showing, I read a little of his magnificent book, and it sets me free again to show the world through the characters I create. The best is getting reviews for “Tulagi” and the shorties where they tell me my writing has made a difference–a genuine WW2 veteran actually reviewed it on Amazon and said it made him go back to the Pacific after all these years. Another said my writing moved her to tears, which is about the finest thing I could hope for. 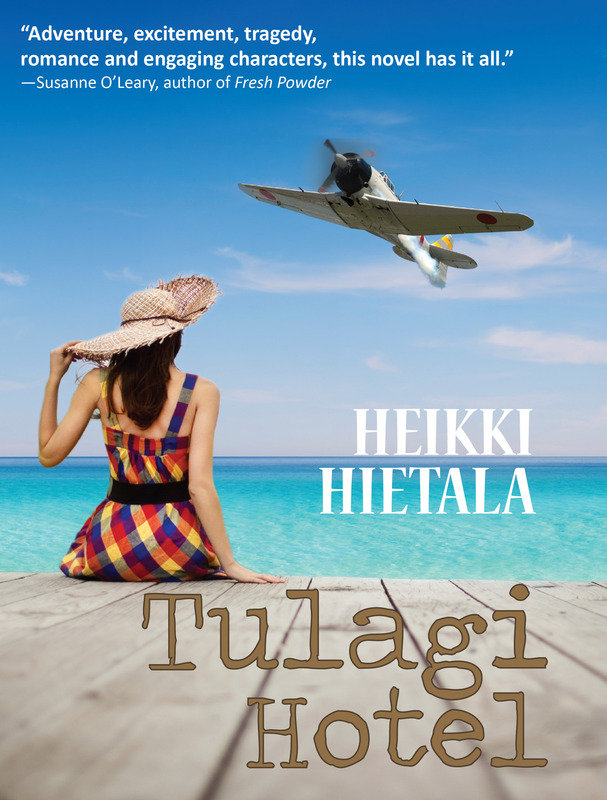 The worst so far is having a Finnish publisher read “Tulagi Hotel”, then getting invited to their office, and then being delivered a ten minute tirade on how preposterous it was of me to think I could write a book in English. I have no idea where that came from, but it did leave a scar. You don’t get a review like that one when your work is subpar, in any language! What’s the best/worst writing advice you ever got? The best is from Dan Holloway, the founder of Eight Cuts Gallery and other independent writing enterprises: he said I must always listen to myself and just write what I feel inside. Not writing in my native language, which is Finnish, this has sometimes been a little hard, but with his support I’ve plodded on. The worst would be any advice from any author who says–do this and you will be a success. It doesn’t go that way. People get lucky all the time with the oddest books, and good authors go unnoticed. All you can do is do what Dan said. “Tulagi Hotel” is on Amazon, and “Filtered Light” will be there too in a few weeks. I don’t have the new cover for it yet, but this is the new cover for “Tulagi Hotel”. I would be thrilled if they would look into my short stories and like the variety of themes I have handled. Another thing I’d like them to know is that I spent an awful amount of time in doing research for “Tulagi Hotel”, up to and including finding out how many pilots I can get drunk if I give them a Jerry can of torpedo fuel, which was 200 proof alcohol. You see, I myself like books with the background work properly done. I see! (Laughing here) Tell us something about yourself that your readers don’t already know. In relation to my height (6’3”) I have lung capacity of 130%, and I can blow a peak flow exhaust meter well into the high red. In the Army I had trouble convincing a nurse I was not fooling her by blowing into the meter with my lips closed–she’d never seen the meter off the scale. Calling you a trickster, as opposed to being told you’re a big bag of wind? (More laughter here) Where can readers find out more about you and your work? Thank you for being with us today, Heikki. We’ve enjoyed getting to know more about you and your writing! Hey, many thanks for running this interview!